There is nothing quite like the feeling of owning your own home. But when the exterior of your home becomes compromised, the dream of home ownership can quickly become a nightmare. Siding that is cracked, warped, or improperly installed opens your home to water damage, rot, and infestation. From there, the devastating effects increase exponentially and so does the cost to fix it. At Hatch Homes, we combine the best products in the industry with the best people. Our skilled contractors are ready, willing, and able to help you with your new siding project from conception to completion. Hatch Homes is proud to offer fiber cement siding from James Hardie. James Hardie is widely considered the best in home exteriors because of the highly efficient, durable, and beautiful products in their catalog. As members of their Contractor Alliance Program, Hatch Homes constantly trains our contractors to keep up with the newest trends in the industry. With access to the entire James Hardie catalog and years of on-site experience, Hatch Homes is the recommended installer by James Hardie in the Silver Lake area. Hatch Homes also offers state of the art vinyl siding from Mastic by Ply Gem. Mastic has a long-standing reputation as the best in vinyl siding. With features like insulated vinyl siding and a no fade, no distortion guarantee, Mastic offers durable products to last a lifetime. As members of their Elite Preferred program, Hatch Homes has access to the entire Mastic catalog. This massive catalog is color coordinated making all of their products completely interchangeable. Board and Batten, Traditional Lap, Dutch Lap, and Shakes and Shingles, are just a few options to create a customized look that accentuates your home. 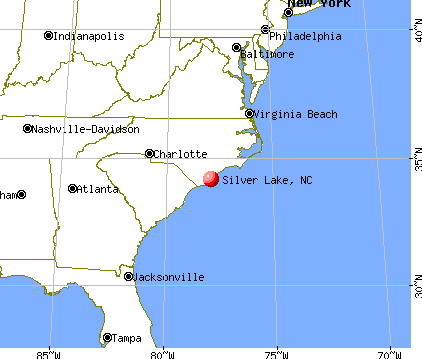 Just South of The City of Wilmington, Silver Lake is a beautiful town that sits on the banks of The Cape Fear River. Silver Lake is a small community with fantastic seafood, local restaurants, and beautiful views. Fresh ocean air and hot summer nights are just a couple of highlights to life in Silver Lake, while The Atlantic Ocean is a short drive away for those days that are a little too hot. Hatch Homes is thrilled to serve Silver Lake and to be a part of this truly beautiful community. When planning your new siding project, consider taking advantage of Hatch Homes’ new window installation as well. Combining new siding and new windows will complete the new aesthetic for your home’s exterior. It will also optimize your home’s efficiency, as our local contractors will custom fit and seal every element of the house with skill and attention to detail. Hatch Homes also offers new roof installation. A new roof, soffits, gutters, and siding will ensure your home’s safety for years to come by keeping water flowing away from the home and air properly flowing through the home. Meanwhile, the new roof will give your home a fresh look while driving down energy costs.